When did Mitt stay and when did he go? 1. Bain outsourced thousands of U.S. jobs overseas after 1999 — which Romney, understandably, would like not to be associated with. 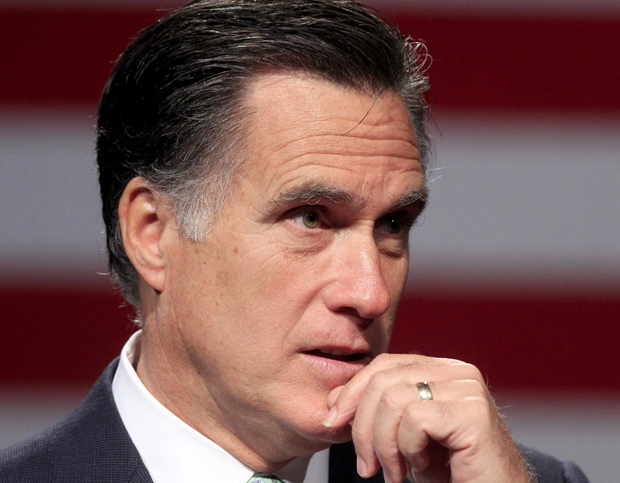 If Romney wasn’t around after 1999, he can say his hands are clean (though he continued to earn profits from Bain stock and investments up until ... er, right now ... ). But if Romney had any say at all and he didn’t veto or register opposition to the outsourcing deals, his silence would imply consent. 2. There is a discrepancy between what Romney and his surrogates are saying now (adviser Ed Gillespie said recently that Romney had “retired retrospectively” to 1999 after working in some capacity for Bain in 2001 and 2002) and what either Romney, or someone who signed his name, told the Securities and Exchange Commission in 2000, 2001 and 2002 when he was listed as CEO, president and sole owner of Bain. How can anyone be CEO, president and sole stockholder of a company, receive a salary, and still claim to have had no formal involvement with it? Let’s say this discrepancy doesn’t bother you, that you’re willing to believe that “CEO” and other titles (though that stockholding is way more than just a title, no matter how you look at it) are just formalities, that you buy that no one from Bain ever called Romney for a bit of advice, that Romney just walked away from a company he’d founded and made successful without once looking back or worrying about a decision made by others which he didn’t like. Let’s say you believe the SEC documents are the result of carelessness (not exactly great for your guy, but better that than he deliberately misrepresented himself before the SEC, which, as you probably know by now, is a felony). Explain then, please, the $100,000 Romney earned from Bain in 2001 and the other $100,000 he earned in 2002. Here’s the kicker: That $200,000 is not dividend earnings or investment returns. It’s not a bonus. It’s pure salary. Either Romney provided a service and did something to earn the money, or Bain paid him for no reason. And I don’t know about you but in my world, no one ever gets paid — $100,000! — to do literally nothing.